When it comes to food, drink, and entertainment opportunities, cities like New York and Los Angeles are pretty tough to beat. As far as actually being places people enjoy living in, though, these beloved domestic metropoles can't hold a candle to the rest of the world's cities. For the 2015 installment of its annual Quality of Life Survey, Monocle magazine ranked the livability of the world's cities according to 22 distinct metrics -- from the number of international routes that connect them to the rest of the world, to the amount of violent crime, to the availability of outdoor seating. According to Tyler Brûlé, Monocle's editor-in-chief, the magazine also attempted to break away from its previous nine years of rankings by including new metrics that reward cities for the amount of freedom they afford their residents. 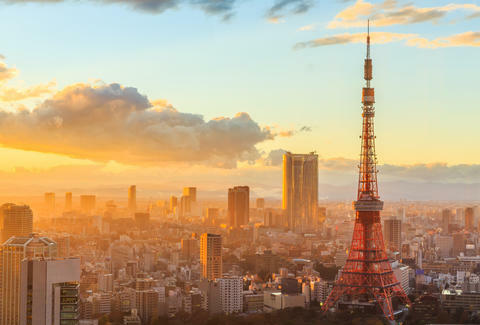 Tokyo jumped up from its second-place position last year to claim the number one spot on 2015's list, thanks in large part to its 127 international routes and excellent public safety record. Meanwhile, the rest of the top three saw significant upsets, with Vienna landing in second place (from sixth in 2014) and Berlin leaping from 14th to third. If you're wondering how America fared in all this, you're in for a shock: Portland, OR was the only US city to make the list, barely scraping into 25th place (the last spot on the list).